Approximately one year ago, we were gearing up for the construction season and the breaking of ground for our new building addition. With the completion of that project in early January, we found ourselves in a great situation where we had a positive balance of funds remaining from the bond project of approximately $750,000. A survey was sent out to all district patrons looking for feedback on what to do with the remaining contingency funds. This survey resulted in 388 responses. 66% were in favor of using all of the contingency funds for additional building upgrades at Central High School and West Elementary. 12% were in favor of using all of the funds to pay down the bond early, and 22% were in favor of splitting the funds between building/grounds upgrades and paying down the bond. Central Building – main electrical upgrade, conversion of remaining electrical fuse boxes to breaker boxes, remodeling of 4 bathrooms in the 1924 addition with new plumbing, fixtures, doors/frames & tile, asbestos abatement in library & two classrooms, new carpet in library, new floor tile in a classroom, AC split unit in a classroom with computer hub, foyer entry on east side of practice gym, basement staircase vestibule enclosure replacement, and new student lockers for grades K-1 and 7-11. 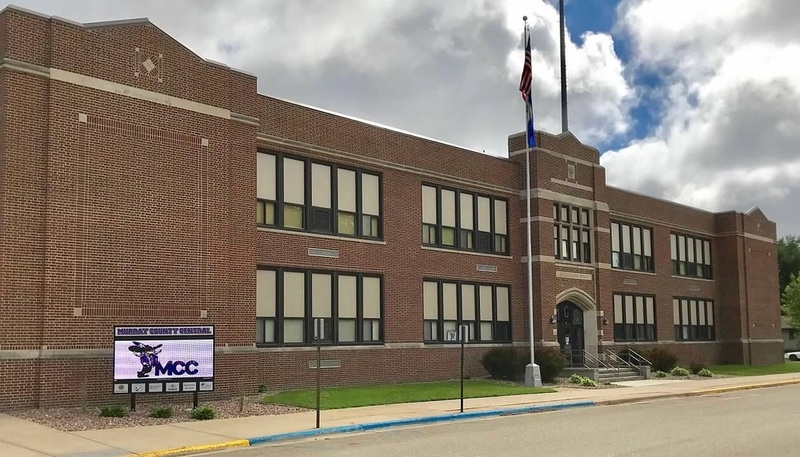 West Building – Asbestos abatement in library, offices, and 2 classrooms; new carpet in library & offices, replace carpet with new floor tile in 3 classrooms, replace the 3 main entry doors with new doors/frames, resurface the entire playground/parking lot, and replace the stage curtain. The funds are restricted and can only be used for building improvements or for debt service. None of these funds can be used for purchasing of equipment, curriculum, salaries, technology, programs, or other such items. Included in the survey was an opportunity for patrons to provide comments and these were reviewed by the board for consideration. Some of these items were included in the “needs” list and some were included in the “wants” list. All suggested items did not make the list at this time of course. However, the Board and Administration are very confident that the selected projects were deemed most beneficial to our District. Most of these items will be completed during the summer months but where possible, some of these projects will begin before school gets out in order to relieve the timelines to get things done during the summer. It is an important job to maintain and fix up our buildings and grounds when needed. When facilities are neglected and maintenance tasks are put off too long, they can grow to the point that they are too costly for a school system’s budget for ongoing maintenance. Our buildings do have some age, but they are sound, in great shape with much character. The oldest section of our school building is coming up on a century being built in 1924. Additions to the original building were added in 1950, 1956, 1972, and our newest addition in 2018. West Elementary was constructed in 1963. We all should be proud of our buildings and grounds here at MCC. We appreciate everyone’s efforts in maintaining the facilities that we do have and for the support of Murray County Central.